This article originally appeared on Transcend Media Service (TMS) on 27 Nov 2017. 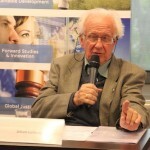 Mr Galtung hs been predicting the fall of the US empire for many years, with ever-increasing urgency and claims of this particular moment in time moving evermore forward. Yet despite Trump (perhaps because of Trump?) this is not happening. 2020 is just around the corner and most countries here in Asia (except North Korea) seem as eager as ever to curry favour with USA. Trump may be an blowhard and an idiot, but the collapse is nowhere to been seen. The USA (and empire) will easily outlive. Trump, Mr Galtung, North Korea and most current political constructions and alliances here. 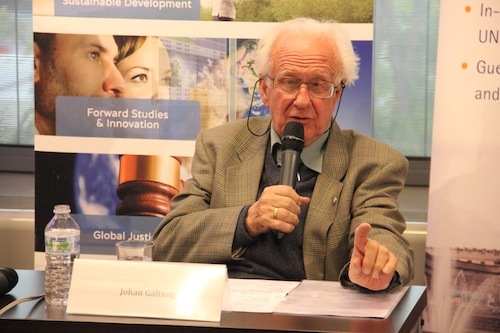 Mr Galtung would do well to look outside his fixation on USA.